The birth of a new blog! Welcome! Here I will share all my lovely knitted things and let you into my knitting experiences. I am a stay at home mum for the time being, and look after my little one year old boy Alex and stay in Scotland just across from Edinburgh nearish the famous red Forth Railway Bridge at Dunfermline. I sing with in the Dunfermline Abbey as a chorister and it’s great fun! I’ve always loved to sing and this is a great time for me to relax and socialise with other singers. The music we cover during the Christmas period is intense but always always fun! The yarn I have went for was a lovely skein by astashaddict. Her yarn is to die for. If I could afford all her yarn I would probably have the whole shop LOL! I think if I were to knit another shawl I might choose a solid colour with some light/dark parts in it instead of a wild colour palette. Im unsure if the lace will show well with such a beautiful yarn… it warrants something plain I think to show off its beautiful array of colours. 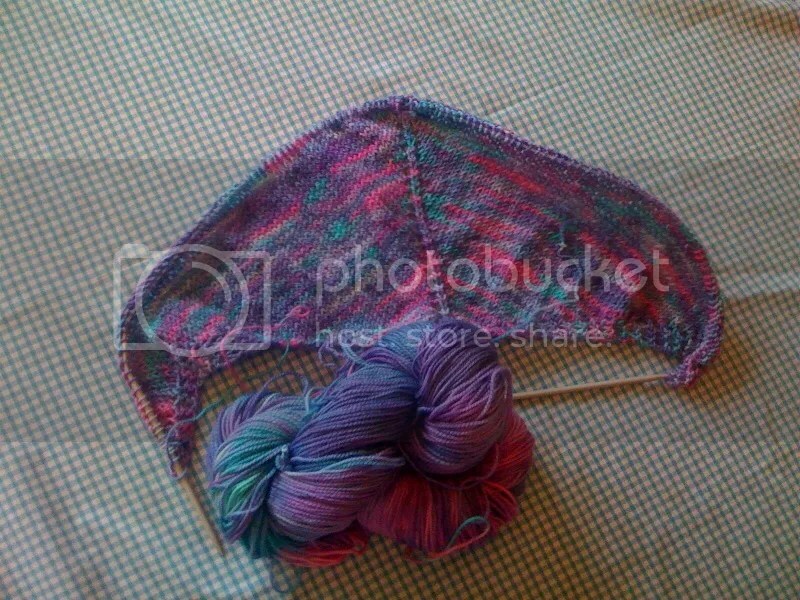 Hmmm and it looks like I’ll have to buy some new circular needles… these ones look way too short to cope with a shawl! What beautiful photos. I would love to go to Dunfermline Abbey – I can’t imagine walking within those walls – how beautiful! I am looking forward to seeing your completed shawl. I’m a big fan of Ysolda Teague’s designs.